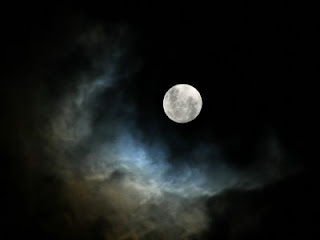 pseudoparanormal: beware of the full moon!? I'm sure all of you have heard of the lunar effect or at least of people doing crazy things when a full moon is out. Well here's a shocker, ITS NOT TRUE. http://www.skepdic.com/fullmoon.html. In this article it talks about the different things that "happen" when a full moon is present and there have been tests done on these theories. Just about every weird phenomena I could think of and no correlation was found. If there is no truth then where did these myths originate from. Well a big part of it is from folklore and tradition in addition to movies and books. Stories have made these things appear real. Creatures such as vampires and warewolves thrive and are assoctiated with the full moon and people get captivated with the idea. So if there is no association between strange behavior and a full moon then why do people choose to believe. Well the main reason is becuase we seek to confirm. When a full moon is out people look for strange events to happen and see things that aren't there or happen on a regular basis. Because of this people see a correlation that isn't there. You can find anything if you look hard enough. Despite the evidence against the lunar effect people still choose to believe. This post made me laugh. My family has joked for many years about the full moon because of my mom-mom. They always say beware, mom-mom is gonna turn into a werewolf tonight. As a kid i thought it was true, obviously werewolfs would come out on a full moon. Now its just a funny joke within the family. I always heard weird facts stating that crime rates go up during times of a full moon. I never believed it but i couldn't find information to prove or disprove it. This post was funny, and I agree that people do seek to confirm.